The Resource Development and Marketing Assistant provides administrative support to the Resource Development and Marketing department in support of UWGP’s strategic plan objectives. The successful Assistant proactively helps to ensure the many moving parts of UWGP’s fundraising and marketing program begin and are completed on-time in accordance with the departmental plan. Act as the primary support resource for a centralized data management process which promotes timely, accurate, and consistent data entry department-wide into UWGP’s donor database. Work with the Database Manager to proactively liaise with Resource Development and Marketing department to identify gaps and barriers with capturing and using donor information in UWGP’s donor database. Manage UWGP’s gift acknowledgement process for all individual and corporate pledges and donations to ensure timely, accurate, and meaningful stewardship of supporters to UWGP’s annual campaign. Collect, scrub, and enter donor contact reports, meeting notes, and follow up action steps into donor database in a consistent manner to provide prompts to affected staff to ensure timely follow-up. 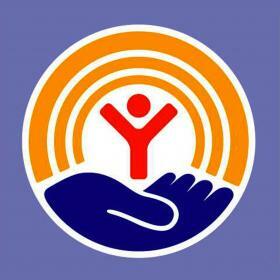 Generate corporate and individual donor profile reports for UWGP staff and volunteers. Assist Donor Engagement and Marketing teams with event logistics and coordination as needed. Assist Resource Development and Marketing management team with pre- and post-meeting support for RD Council, Campaign Cabinet, and Thrive2027 Marketing Communication committee meetings; support includes scheduling support, space prep, note-taking, and attendance. Ensure sufficient in-house inventory of printed collateral and promotional materials. Manage the collection, tracking, and storage of campaign MOU’s. Perform general administrative tasks including: coordinating in-house mailings, preparing personalized pledge cards and thank-you letters through mail merge, creating/collating CEO packets for corporate meetings and/or individual donor meetings as requested. Proactively identify and recommend areas for improving efficiency within Resource Development and Marketing team. Schedule donor/volunteer meetings, prepare call lists, research prospects as needed. Respond to donor inquiries, including answering questions and resolving concerns. Participate as a team member of Resource Development and Marketing in organizational activities. Provide world-class experience that exceeds expectations of volunteers and stakeholders. Volunteer and actively participate in office projects, cross-functional teams, or workgroups that support the work of the entire organization. Demonstrate a commitment to UWGP’s Core Values in all internal and external interactions. Bachelor’s degree or foreign equivalent preferred. Experience with CRM database preferred.